Trader Duke’s Hotel is the cornerstone full service hotel to S. Burlington offering charm and warmth native to Vermont hospitality. Minutes from Downtown Burlington and within a 2 block radius to 3 shopping Malls and over 20+ eateries. Choice of Business Class or 2 Room Suites available. Complimentary Wifi and Parking are provided. Trader Duke’s Restaurant serving local brews on tap is open daily for Breakfast, Lunch, Dinner and Sunday Brunch. Indoor heated pool, Sundeck and 24 hr Fitness center. Complimentary Shuttle service is available 24/7 to Burlington International Airport located 1.5 miles from hotel. Two night minimum at $169 + taxes for a guest room or $219 + taxes for a king guest suite. Book by June 18, 2019. 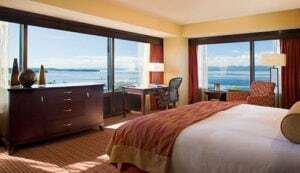 Overlooking Lake Champlain, “America’s Sixth Great Lake,” the Hilton Burlington Hotel is the centerpiece of Burlington’s acclaimed “Waterfront Renaissance,” heralded by the New York Times and others. Historic, award-winning Church Street Marketplace – often likened to a Parisian cobblestone boulevard with its cafés, shops, boutiques, and restaurants – is just an easy stroll from our Lake Champlain hotel. To reserve your festival rate over the phone call (802) 895-5055 and use the group code VBF19. $299 + taxes. Book by June 18, 2019. 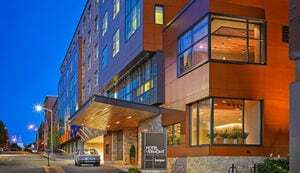 The DoubleTree by Hilton is Vermont’s largest hotel and conference center, located just minutes from downtown businesses, shopping and Lake Champlain. Offering 309 elegant rooms, indoor pool and restaurants. Pet friendly. Two night minimum at $209 + taxes. Book by June 27, 2019. Downtown Burlington’s newest hotel! Located in the heart of the Queen City’s business and shopping district, steps from Lake Champlain, Waterfront Park and Church Street Marketplace. Guests will enjoy the modern look and conveniences of a boutique hotel combined with the charm of a historic landmark; the Amory built in 1904. This hotel offers four stories of thoughtfully appointed guestrooms and suites, many with views of Lake Champlain and the Adirondack mountains. Our full service restaurant and bar serves breakfast and dinner, a state of the art fitness facility and technology including complimentary WiFi and flexible meeting space make this the ideal choice for business and leisure guests alike. Two night minimum at $309 + taxes. Book by June 3, 2019. Settled in a unique location just south of Burlington, the Best Western Plus Windjammer Inn & Conference Center is just minutes from Lake Champlain and the Burlington waterfront. Indoor and outdoor pools, Windjammer restaurant and Upper Deck Pub on site, conference center, fitness center, continental breakfast, free wireless internet access and an airport shuttle make our hotel the perfect choice for both corporate and leisure travelers. Rates are $174 + taxes. Book by June 2, 2019. 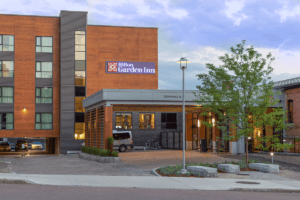 The recently renovated Courtyard Burlington Harbor Hotel is located just steps away from Lake Champlain, Burlington Town Center, and the Church Street Marketplace. It is ideal for business or pleasure with spacious, thoughtful guest rooms, indoor pool, soaking tub, upgraded fitness facility, high speed internet, flat screen HD TV’s, business center, and breakfast, dinner and drinks served daily at Bleu Northeast Seafood, all combine to make the Courtyard Burlington Harbor the right choice for your lodging needs. To reserve your festival rate over the phone call (800) 312-2211 and mention the Vermont Brewers Festival. Two night minimum at $249 + taxes. Book by June 19, 2019. Hotel Vermont is designed to serve the needs of both the leisure and business traveler by creating a unique and authentic “Vermont” experience: stimulating spaces that blend comfort and productivity while exuding casual warmth. Featuring the Burlington location of acclaimed Vermont farm to table restaurant, Hen of the Wood. To reserve your festival rate over the phone call (802) 651-0080 and mention the Vermont Brewers Festival. 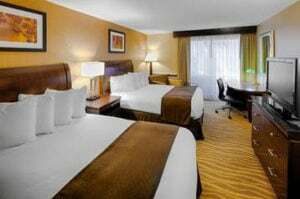 Two night minimum at $269 + taxes. Book by June 19, 2019.